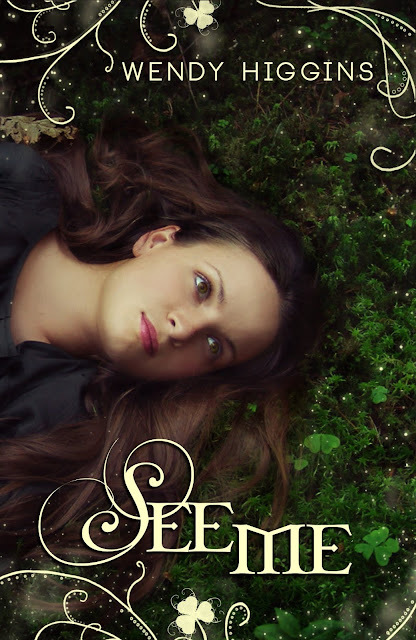 Today I am taking part in the cover reveal for See Me by Wendy Higgins. I absolutely love her Sweet Trilogy and cannot wait to see what she does with this book! "While most seventeen-year-old American girls would refuse to let their parents marry them off to a stranger, Robyn Mason dreams of the mysterious McKale in Ireland, wondering how he’ll look and imagining his cute Irish accent. Prearranged bindings are common for magical families like her own, however when she travels to the whimsical Emerald Isle she discovers there’s more to her betrothal and McKale’s clan than she could have imagined. What starts as an obligatory pairing between Robyn and McKale morphs over time into something they both need. But one giant obstacle stands the way of their budding romance: a seductive and deadly Fae princess accustomed to getting what she wants—and what she wants is McKale as her plaything. Love, desire, and jealousies collide as Robyn’s family and McKale’s clan must work together to outsmart the powerful Faeries and preserve the only hope left for their people." So I am incredibly excited for this one. That cover is so pretty, I love all the green! I love fae books, I love anything with an Irish twist, AND I love Wendy Higgins... so I cannot wait for this one! That is so pretty! Thanks for sharing, Teresa! Thanks for sharing this, Teresa. I hadn't heard of it yet, but I've loved everything I've read by Ms. Higgins! :) And I love that cover!